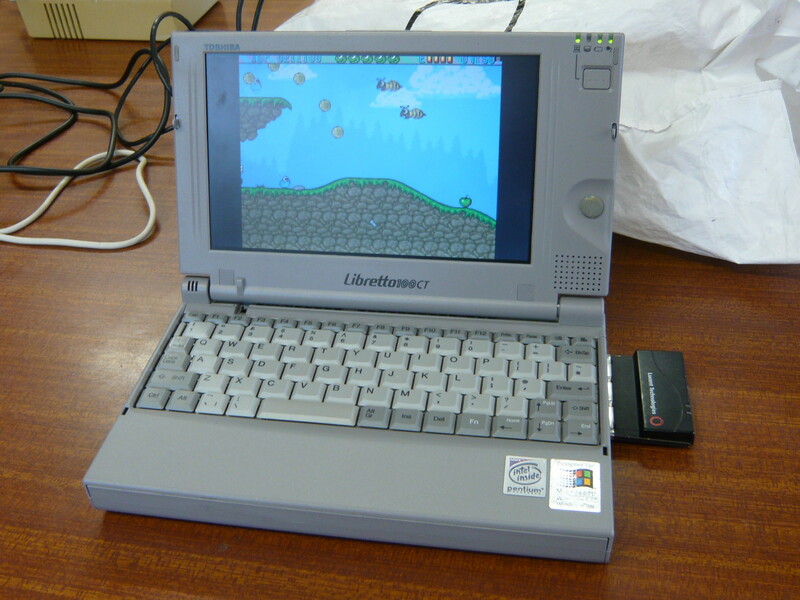 I'm pleased to say I finally got some emulation running on the Libretto. I installed some old versions of WinUAE, WinFellow, DOS Fellow, and DOS UAE, and had mixed results. The emulators under windows were perhaps barely usable but a bit too slow. Worked much better under DOS, but I didn't have a DOS mouse driver or sound driver installed at the time I tried it. Fellow exhibits a problem where it doesn't display the character in some games. As you can see in the screenshot, Superfrog runs OK, but Superfrog himself is invisible. I seem to recall having this problem years ago. I took the machine to the Lincs Amiga Group a few months ago which is where the photos were taken. PS. 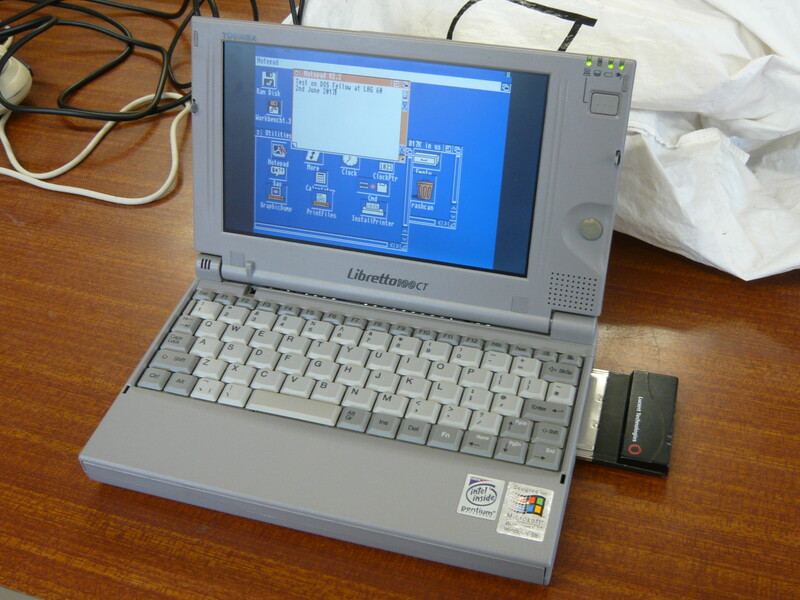 Its always fun having that PCMCIA Wireless card there for scale . Nice. Could it run Linux? You might have better emulator performance with less overheads from the OS? Or even native Amiga emulation such as Amiga Forever. And yet, the tie saga remains unresolved.